Possibility to spend the night at Zurich airport (ZRH), if open 24 hours. Services available, places to rest (free resting zones), or look for the list of nearby hotels and vip lounges.. If you have a connecting flight with a long wait or your flight leaves early in the morning, you will be able to spend the night without any problems inside Zurich airport, as the terminal remains open 24 hours a day. Where to rest: If you don't have a connecting flight, the ideal thing is to check-in to gain access to the boarding area, as there you will find the most comfortable places. There are several benches where you can at least stretch your legs, and between 11:00 pm and 5:00 am, having barely any movement, it is usually very quiet. It is always advisable to have a sleeping mask and blankets, because normally it is very bright and cold. 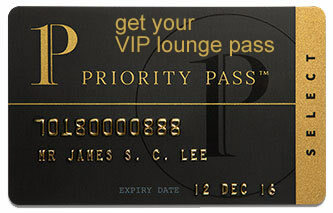 Another, more comfortable option, by paying or with a credit card that offers the service, is to enter one of the VIP lounges, although these close at night. SEE VIP LOUNGES On the other hand, in the transit area of concourse B/D there is a fully-equipped hotel, while another is connected to the enclosure through a covered walkway. Baggage: At car park P2 there are both lockers and a left-luggage service, the last one from 6:00 am to 10:30 pm. Eating and drinking: Unfortunately, there are no restaurants or cafés that remain open 24 hours a day, so if you are staying in the public area, it is a good idea to bring your own food and drink. If you are already inside the security area, you will have to resort to the vending machines. Restrooms: There are several places that offer showers inside the enclosure, in addition to the VIP lounges. Wi-Fi: The airport offers 2 hours of free access. Other services available around the clock: ATMs, currency exchange bureaus, baby changing facilities. Next to gates B/D, on level 1, is found the Transit Hotel (Tel +41 438 162 108), while the Radisson Blu Hotel Zurich Airport (Tel +41 448 004 040) is connected to the terminal through a covered walkway. In the surroundings there are more alternatives, some of them with free shuttle services to and from the airport. Holiday Inn Express Zürich Airport (Tel +41 448 093 400), NH Zurich Airport (Tel +41 448 085 000), Apartments Swiss Star (Tel +41 432 555 757), Hotel Welcome Inn (Tel +41 448 047 575), Hotel Fly Away (Tel +41 448 044 455), Hotel Allegra (Tel +41 448 044 444), B&B Kloten (Tel +41 523 895 253), Mövenpick Hotel Zürich Airport (Tel +41 448 088 888).